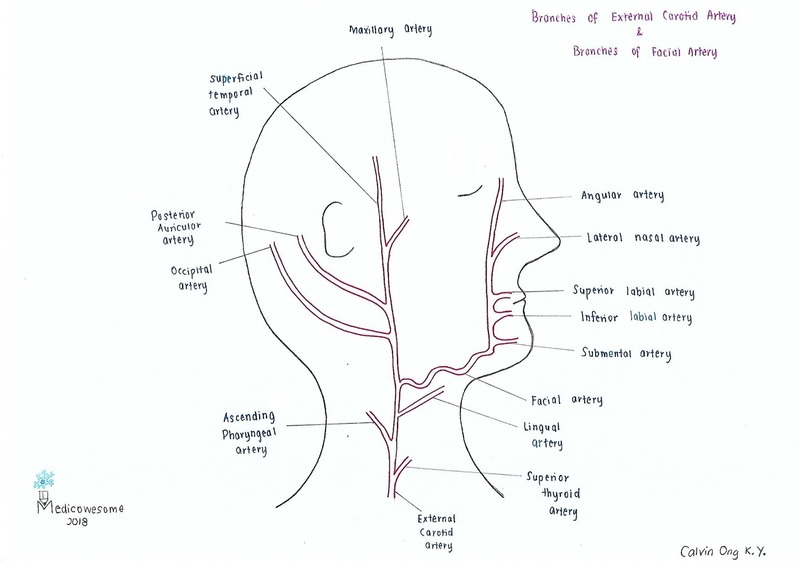 Medicowesome: Arterial Supply of the Head & Neck in a Nutshell! 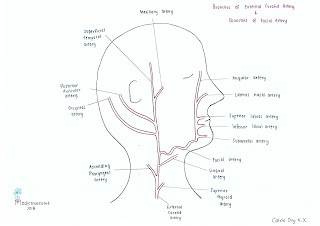 know the place that the artery supplies and you will know the name of the artery! P.S: Credits to my awesome twin sisters (Jaymee & Jaycee) for contributing in the drawing! Posted by Calvin Ong K. Y.